JLR just showed the automotive world how it's done. We yearn for the days when model names actually had something do do with the car's engine. Just look at any car in the BMW or Mercedes range, and it is pretty much impossible to glean any information about the engine from the car's name. Audi recently revealed a new naming strategy for its cars, which left a lot of people scratching their heads. According to Auto Express, Jaguar-Land Rover has just released a naming scheme that will get rid of all of the confusion that is associated with the company's models. Unlike the Audi naming scheme, JLR's model designations will identify horsepower and fuel type without a complicated conversion. Audi uses a system where the car's power is shown in kilowatts, which is something that almost no one uses to measure a car's power. JLR will simply put the horsepower right on the badge. An Auto Express reader spotted a Jaguar F-Type with a P380 AWD badge. 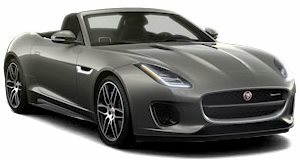 This clearly denotes that the F-Type has the 380 hp 3.0-liter supercharged V6 and AWD. The P stands for petrol (which is what the Brits call gasoline). The lower 2.0-liter four-cylinder model will get a P300 badge, reflecting it 300-hp, petrol engine. Get it? 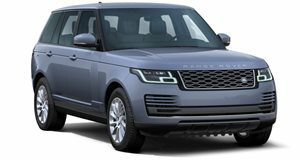 Land Rover will debut this scheme with the new Range Rover Velar. The base diesel model will be called the D180 (D for diesel), while the range topper will share the F-Type's P380 badge. Electric and hybrid models will get a different designation. The I-Pace will come with an E400 badge because it produces 395 hp. We have to give JLR a huge amount of credit. This system is easy to understand and fixes a huge problem in the auto industry. Sometimes the simplest solution is the best one. We hope that other automakers take notice, and fix their ridiculous naming schemes. This also fixes Jaguar's complicated naming scheme, which called a 3.0-liter supercharged V6 a 35t for some reason.